Have you heard about AirAsia’s ASEAN Pass? With its unbelievably cheap fares, aren’t you just itching to log on to their website and book that epic South East Asian backpacking trip? Well, I did, the moment I heard about it. But how do you really book one, and does it come with hidden charges and what-nots? Here’s the gritty truth about AirAsia’s ASEAN Pass. Now, how does it work? AirAsia made it so that, flights around the whole of South East Asia can be booked via credits. Flights less than two hours would cost you 1 credit, while those above would be 3 credits, regardless whether you’re booking an international or domestic flight (complete table of credit fares, 1 Credit, 3 Credits). 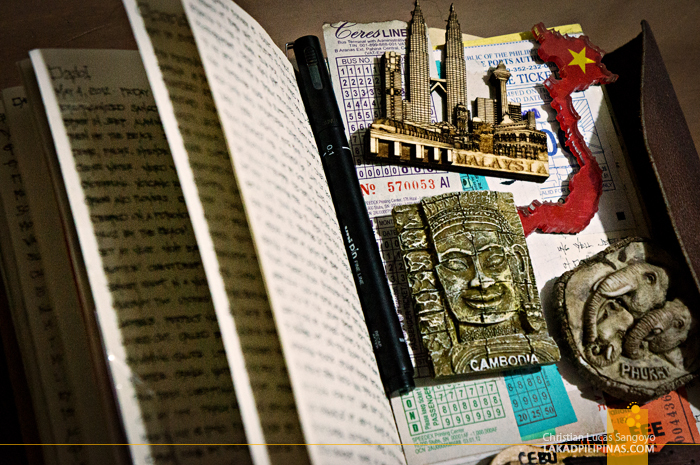 Here’s my personal experience in booking the ASEAN Pass. It was perfect! We utilized all 20 credits for a two-month backpacking trip! We were ready to purchase our ASEAN Pass! Or so we thought. The first hurdle was getting a BigShot account. You can’t purchase an ASEAN Pass without one. So I registered, easy enough, but I kept getting a wrong password error when I try to log in. The solution, I reset my password, which seems to work out the system’s kinks. I changed the amount to Philippine Pesos since the default is Malaysian Ringgit (MYR), clicked on the 20 Credits Pass, chose two passes, then pressed Purchase. One can actually get Asean Passes for an unlimited number of individuals; you’ll just have to set their details (names, birthdays, etc.) on the next page before you can proceed on booking their itineraries. Be sure you have their correct details and their BigShot accounts (optional, but this would earn them Big Points which they can redeem at AirAsia so better ask them to get one) before you book their first flight else, you can’t change it once you started booking their itineraries. So, once you got your credits, you start booking your itinerary. And this is where it gets hairy. First, you click on the Redeem Button. Then you search for your chosen flights. Here, I set Manila to Kuala Lumpur for April 1, 2015, one way. A few days before, I called AirAsia Philippines to confirm if they set embargo dates for the ASEAN Passes. No such thing, the agent says. Since April 1 is a holiday in the Philippines, I stood by what the agent told me and searched my flight on a supposed embargo date. The result: Hold on! Looks like the flights for this date are unavailable or sold out. Alrighty. I tried the next day. And the next. And the next. And the next. Same message. I tried Manila to Kota Kinabalu, same message. I mean, We’re absolutely fracked. How do we get out of Manila if we can’t book a flight to Malaysia?! This actually puts ASEAN Pass holders into a tight spot, you won’t know the availability of a particular flight until you’ve actually bought a pass. To be on the safe side, plan your flights on a weekday and non-holidays. Thinking of a workaround, I remembered AirAsia has a flight from Cebu to Kota Kinabalu. I tried that route even though I know it would change our intended route drastically. Manila to Cebu. Check! I just made my first booking (which has an additional of Php286.00 worth of taxes and airport fees). Crossing fingers, I then booked a Cebu to Kota Kinabalu flight. Check! There are seats available! I however encountered an error as I was trying to pay for the additional fees, Card Number does not match your Card Type, please reconfirm your details before proceeding. Come on, I just booked using the same number a few seconds ago! The real culprit; the amount due, which is Php0.00. This put me in a quandry. I quickly called up the AirAsia hotline and was asked to screenshot the page so they can escalate the issue. It took them three full days to sort this out, meanwhile, there I was, pulling my hair out each day, hoping that the flights we wanted were still available by the time they sorted out this credit card glitch. Finally, one morning, as had become my routine, I tried the Cebu to Kota Kinabalu route again. And this time it went through, it didn’t ask me for my credit card details anymore! Finally! And so I went on a booking spree, using our second alternate route from MNL > CEB > KK. Everything went smoothly, thank goodness; the routes we planned on were still available! I was able to finish booking three separate AirAsia ASEAN Passes for at least an hour. For those planning to get an ASEAN Pass from AirAsia, these tips might just come in handy. ► Pre-plan your route including the dates, and write them down (or better yet, put them on Excel) so you can track how many credits you’re actually spending per flight. 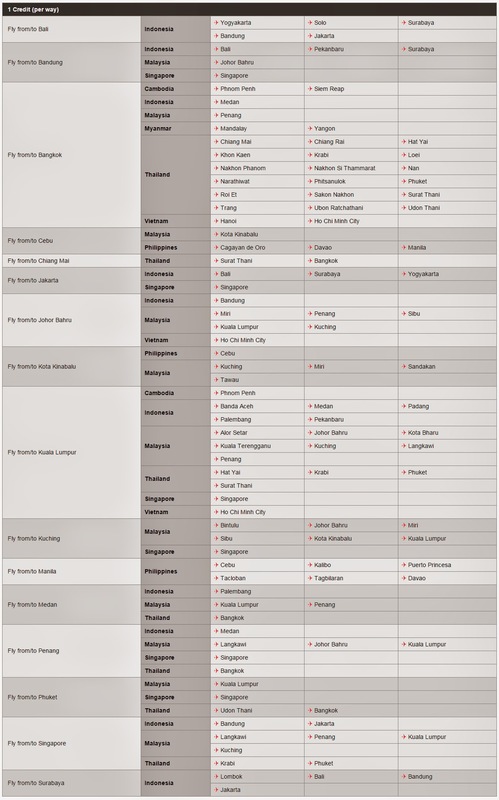 ► If you’re coming from Manila, forget about doing the MNL > KL route (3 credits). It’s basically non-existent. Try doing the Clark > KL route (3 credits), or better yet, do the Manila > Cebu > Kota Kinabalu route, which is just 1 credit each. You actually get to save 1 credit using that route. ► Once you bought a Pass, don’t book just yet. Mock book your existing flight routes first on the ASEAN Pass page (not on AirAsia’s booking page), making sure that all of them have flights available on the dates you wanted. ► After you’ve confirmed all the dates and flights you wanted are available (or after you moved them a bit so it can suit AirAsia’s schedule), then you start booking your flight itineraries. ► Booking for an ASEAN Pass is easy if you’re traveling solo. If you have a companion, it’s not a guarantee that both of you would have the same flights as there are no indicators if the flights at the ASEAN Pass page are almost at their limit or if they have many more for that particular date. ► Be ready for the extra fees at the end of each booking. The ASEAN Pass only covers AirAsia’s base fare; it does not cover taxes and airport fees. ► For Philippine domestic flights, one can actually use the ASEAN Pass to have a weekly vacation and be back in Manila during workdays. Check this route I came up with: MNL > CEB > MNL / MNL > PPS > MNL / MNL > BHL > MNL / MNL > DVO > MNL / MNL > KLB > MNL. That’s a total of five roundtrip tickets around Philippines’ top tourist spots for only Php7,200.00! The only problem you’d face here is flight availability. ► There’s a minimum of 14 days advance booking needed prior to flight departure, so you just can’t decide to buy a pass now and fly the next weekend. The pass can be redeemed one year from the time you bought it, but once you redeem it, you must use it for the next 30 days for the 10 credit pass or 60 days for the 20 credit pass. ► List of countries you can visit using the AirAsia Asean Pass: Malaysia, Indonesia, Singapore, Thailand, Brunei, Cambodia, Philippines, Laos, Myanmar and Vietnam. ► And last, but definitely not the least, be sure you have a valid passport. No need for VISA though, as all ASEAN countries can be visited without a VISA for Philippine passport holders. After you have booked everything, I congratulate you! It takes a lot of patience and planning to make the most of AirAsia’s ASEAN Pass. It may not be for everybody, but it is certainly for people like us who are addicted to traveling. Some ask, is AirAsia’s ASEAN Pass really worth it? For a grand total of Php17,760.78, I get to fly to Cebu, Malaysia, Indonesia, Myanmar, Thailand and Laos; a total of ten flights for sixty days. Consider this, a flight from Manila to Bali would usually cost you a minimum of Php6,000.00, you tell me if it’s worth it or not. So I was tinkering around, figuring out how to transfer the AirAsia Asean Passes I bought for two of my travel buddies to their own BIG Shot accounts. They told me that none of the passes I bought for them reflected on their accounts. The reason was, they didn’t have any BIG Shot accounts prior to booking them along with my pass. And once you book your first flight, there’s no way to edit the details for your companions, well, even for yourself. So says AirAsia’s Asean Pass FAQ. After minutes of fussing around AirAsia’s BIG Shot website, I finally found a way to connect their flights to their own accounts. This way, not only can they check-in themselves, buy their own baggage allowances and whatnots, it would also earn them points as they take each flight. Here’s how I was able to input in their BIG Shot ID even if their Asean Passes has already been booked. First, you log in to the BIG Shot account who booked the Asean Pass. Log in to https://member.airasia.com/login.aspx, go to the Manage my booking area, look for your friend’s flight, then click Modify. His flight details would then go up your screen. On the dropdown bar on the upper part of the screen, click Update Details, then click BIG POINTS. You would then be asked to fill out his Big Shot ID. If you don’t know his ID yet, click the Lookup BIG Shot ID link and a pop-up window would prompt you to enter his details; Email, Given Name, Family Name. One you have it, enter his BIG Shot ID into the space provided and click Submit. And that’s it. The flight would then reflect on his own account and he can now manage his own Asean Pass himself. Good day Christian! Thanks for the information but I still have few questions. I was also planning to purchase the AirAsia ASEAN Pass but I hesitated coz of the availability of seats. Anyway, I was curious on the amount you posted there. Does this PhP17,+++ also includes airport taxes and etc? Thanks and hope to hear from you. Great post! For me, the AirAsia Asean pass has been difficult to use due to payment problems and limited routes. I was able to fix the issues with payment (no thanks to AirAsia customer service) but once I was ready to pay there were very limited routes. 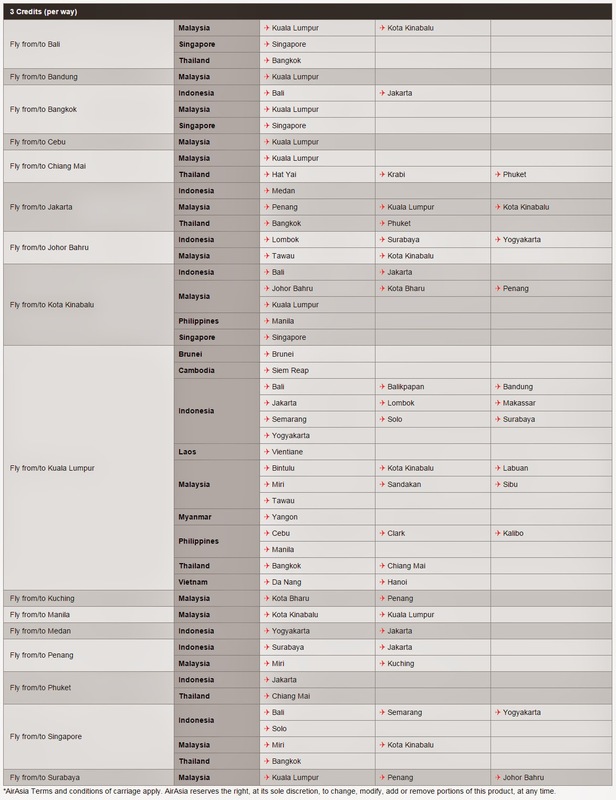 Many routes that were listed in the table of Asean pass routes on the AirAsia website were not available. I needed KL to Manila but there were no flights in all of April, May and June. I sent a tweet to @AskAirAsia and the next day the route was listed (only one flight very early in the morning, but better than nothing). Not sure if my tweet was what did it. I ended up writing a post on my travel blog about the problems I've had so far (and how to resolve some of them) at http://www.yourtravelpath.com/archives/479. Still needing AirAsia to open up the route from Manila to Palawan. Fingers crossed! Keep up the great work! This is one interesting and helpful article. Glad I stumbled upon your blog while planning my SEAsia trip. Just a question, assuming that I only used 15 credits out of the 20 credits in my ASEAN Pass. Can I keep the remaining 5 and use it next time on my booking? Hi! may I ask if the flights are connected flights or not? or is it still depends on the date you choose for departure? Good day readers. I have bought a 20 point credit of Asean Pass, the Problem is i had difficulty utilizing it. I cannot use it cause my flight is not after 14 days as have stated in the terms. And i am confused how to use it. Worst is that it cannot be refunded. Thus i will sell my ASEAN PASS to others who want and have full knowledge about it. Yes i understand selling That it is at a lower price. P.S. this is a LEGIT Airasia Asean Pass. Is it possible to transfer an AirAsia Asean Pass? Because of a sistem error at Air Asia site, I mistakenly bought the 10 credits pass two times. I did not name the passes yet. Can I sell one of them? And how it works? Please, help me, I'm desperate! Thank you! Hi Marcela, your best course of action is to contact AirAsia directly. I'm not sure if AirAsia's Asean Pass is transferable. Can you suggest a 20 credit plan coming from Singapore? Im planning to visit Malaysia, Thailand and Cambodia and other countries you can suggest but I dont know what places to go there yet. I already have the ticket from manila to singapore and from there I want to use the Asean pass, then lastly, from a country, back to Ph. Thanks, Ces! Did you book one? at the search flights section? I'm currently trying to check available flight but I haven't totally bought a pass yet. If I already bought one, will the search flights section be more than 5? This blog is truly a great help, but I just wonder because you've said in your article that travelling Asean countries would require no visa. Would that mean that no interview is needed in an embassy of a particular country and no certification of bank account/s are needed to be presented? Thanks.